What Lies Ahead of Oklahoma City Thunder after Durant’s Injury? We can never truly tell when do unexpected incidents happen. Today, we were shocked by the revelation that Oklahoma City Thunder’s Durant is suffering from a Jones injury and could probably miss two months of the games. This type of injury is healing in the most unpredictable way and time. As stated on the USA today, the Oklahoma Thunder is really affected by the situation of Durant, given that he is the team’s best player. What Is the Real Situation of Durant’s Injury? According to the explanation of medical experts from the study of the USA today sports, this Jones fracture appears from a small break or crack in the bone until it causes soreness and creates severe pain. The situation of Durant’s injury needs surgery according to experts. This type of fracture is different compared to any bone fracture because it is mostly at the back part of the foot bone where there is a minimum flow of blood making the healing process slow without surgery. In this case, if Durant is not given ample surgery, not only will he suffer extreme pain while playing, but he could be rendered unable to do is. The Jones fracture is not basically a major fracture, although it’s still classified as a break. When an operation is made, it will help the healing process, which will help Durant get back in the court. After the operation in the near future, if the operation succeeds, he could be good as new and will be able to do well on his games. When everything gets well, Durant will be able to do things he used to do and practice to see if how does his feet doing. Could Durant Still Play for the Team? For the meantime, as it was announced in Washington post, Durant would probably finding hard time to make a choice or to withdraw from his commitment with the USA team to have a rest and undergo the surgery. For now, he needs time to find peace of mind and physical rest. According to experts, this healing process will probably take two months and Durant will be missing about 20 games including the five against the Western playoff teams from the last season. Durant really love his team and he never want to miss anything but the real problem there is, the team would possibly lose Durant for the games. The result is still unpredictable if what will it become for the Oklahoma City thunder after that Durant is having the injury. After all, the Oklahoma City thunder is still confident that they can make it though there was an absence of one of their best players. They still have the most dynamic offensive weapons. They had been doing rigid training even before Durant was injured. Some of the players like Reggie Jackson had suffered wrist injury, Kendrick Perkins who had a strained squad, and Nick Collison who had ankle injuries. Accidents may occur in the most uncertain way and needs attention from specialists like accidentshappen. 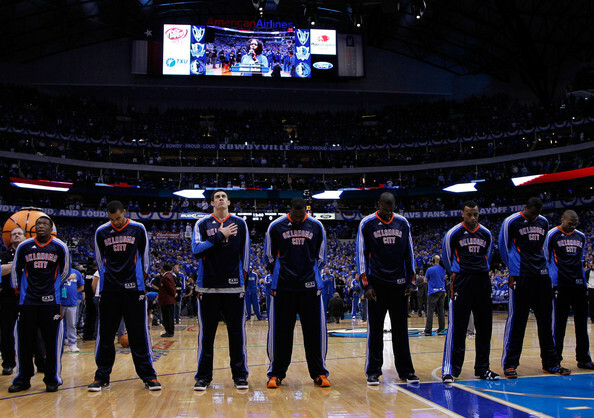 Whatever could be a future lying for the Oklahoma City thunders is unpredictable. The fight for the USA team still needs to go on behind what had happened. As what had Durant said, they should not miss a thing. The team is now doing the next step and making it sure that they could still bring home the bacon behind the miseries they have gone through.